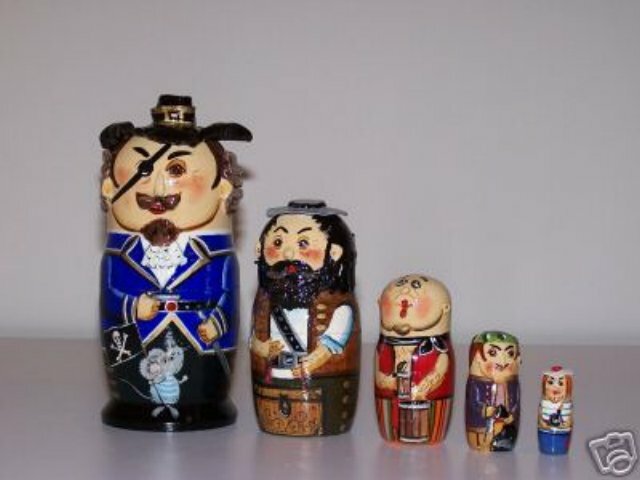 This is a very beautiful and hand painted wooden set of 5 Pirate dolls. The height of biggest doll is 6" tall, diameter 3". Each doll is hand painted, amazing and delicate work with raised, embossed details.